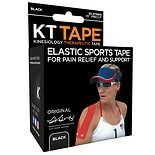 Elastic sports tape for pain relief and support. For common injuries: Carpal tunnel, hamstring strain, wrist pain, runner's knee; neck strain, calf strain, shoulder pain, achilles tendonitis, tennis elbow, plantar fasciitis, golfer's elbow, shin splints, rib pain, ankle sprain, gluteus pain, quad strain. Discontinue use if skin becomes irritated or sore. Instructions provided are for educational use only. 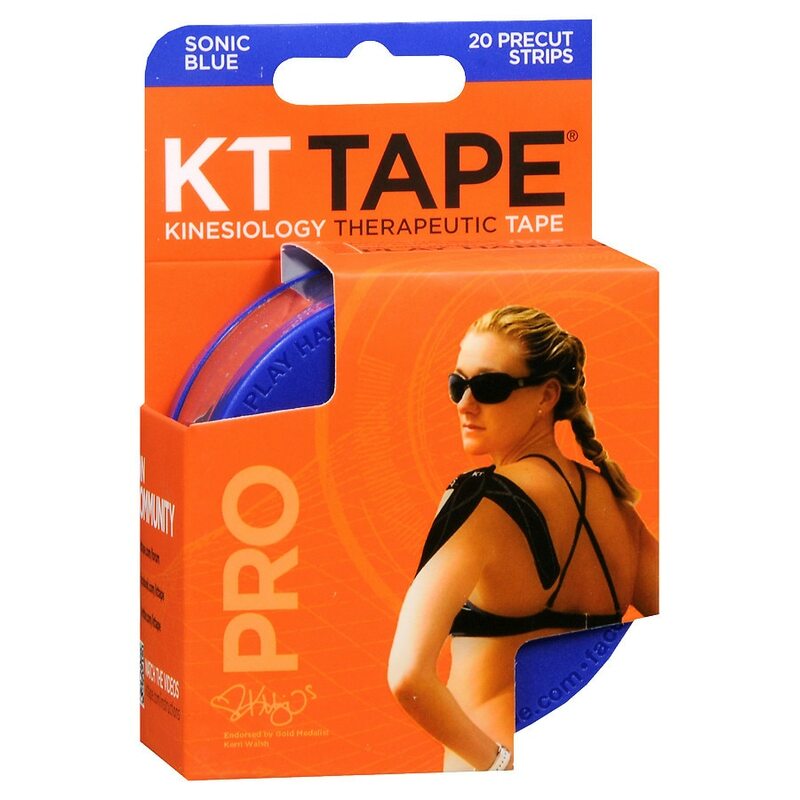 KT Tape is not a replacement for professional medical care. 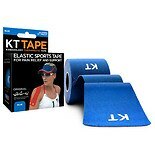 Cancer patients should not use KT tape as it may interfere with treatment. Do not use on abdomen if pregnant. Warranties and remedies limited to product replacement cost.